The immediate positive response spurned him on to go ahead and publish a book that he and a colleague had been working on for several years, just as the Global Financial Crisis (GFC) was occurring. 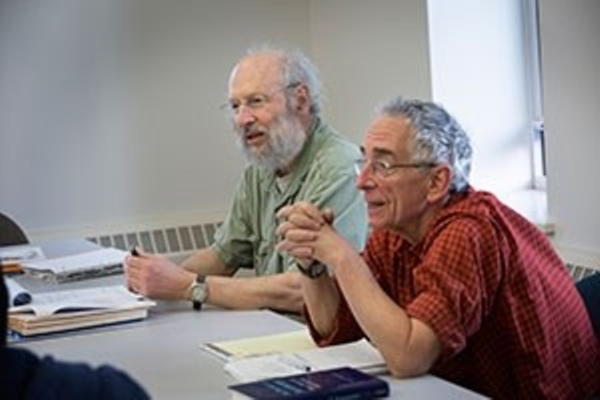 Schwartz and his colleague from Swarthmore College, political science professor Kenneth Sharpe, had been teaching a class in practical wisdom since 2003. The two complement each other well in this sphere, with the more flamboyant Barry Schwartz being the expert on relationships and the more demure Ken Sharpe an expert on Aristotelian ethics. In their book, Practical Wisdom, Schwartz and Sharpe gave a warning that the best regulations and corporate governance practices were insufficient to prevent a financial sector meltdown occurring again. Their message was simple; we’re too reliant on rules and we use the wrong incentives to ensure people always behave responsibly, ethically and legally. Even if the rules and incentives for bankers could be designed exactly right—which is highly dubious—how could we trust that bankers wouldn’t find a way game the system, discovering shadows that the regulators’ flashlights don’t illuminate? The banking system, as we’ve painfully seen, only works when there is trust, and when the system depends entirely on regulation and incentives, “trust” becomes an empty word. Christine Lagarde, the Managing Director of the International Monetary Fund says the goal or telos of the financial services sector should be “to enrich society by supporting economic activity and creating value and jobs – to ultimately improve the well-being of people.” When this is done well the profits of the enterprise are used to maximise the wealth of shareholders. But with deregulation of the financial industry, over time the goal has changed to become profits over people and shareholders over society. When a bank’s only goal is to make money, they have lost their way as a bank. What is needed is revival of the true telos of the financial sector—its purpose and broader responsibility to society. Yeah, I cleaned it so that he could see me clean it . . . I can understand how he could be [angry]. It was like six months that his son was here. He’d be a little frustrated, and so I cleaned it again. But I wasn’t angry with him. I guess I could understand. Now Luke’s job description did not say anything about how he should interact with patients—his instructions were purely about the mechanics of his cleaning job and nothing to do with the goals of the hospital or his interactions with others. Yet here he was using empathy to put himself in the shoes of the patient’s father and doing something to ease the tension. Luke had used practical wisdom. How do we obtain this balance? There is no formula for practical wisdom. It is a moral skill, not a technical skill. It can only be learned through experience. Schwartz contends that each of us has the capacity to develop the sort of moral skills that wise judgment requires. Sizing up the situation, figuring what’s relevant in this particular case and these particular circumstances, imagining what someone else is thinking and feeling, recognizing the options and imagining the consequences—all these skills are part of being perceptive. It is this perception that enables us to recognize the uniqueness of a particular situation. Such perception is ‘a process of loving conversation between rules and concrete responses, general conceptions and unique case, in which the general articulates the particular and is in turn further articled by it. How can practical wisdom be taught? What is not covered in the Schwartz and Sharpe’s book is how practical wisdom can be taught, or rather, how practical wisdom can be learned. We can start to embrace our moral responsibility to help form the character of our students by focusing on training a set of what I have come to call “intellectual virtues” in our classrooms. These virtues include love of truth, humility, honesty, intellectual courage, good listening, perspective taking and empathy, perseverance, and open-mindedness. These are “virtues” because they have moral content. And they are “intellectual” because they are essential to the full intellectual development and achievement of our students. If we took the cultivation of intellectual virtues seriously, we would remoralize college education, and contribute to the cultivation of wisdom in our students. Moving in this direction requires that we shift the focus away from “college education as job training” and on to “college education as character formation.” I think this would be a noble enterprise for our colleges and universities to undertake. They suggest we first learn from the behavior of moral exemplars. People are inspired by moral heroes such as Atticus Finch, the lawyer in the Harper Lee’s novel To Kill a Mockingbird. And then there’s the judge of the Veteran’s Court in Buffalo, New York. Judge Robert Russell succeeded in changing the workings of the judicial system on behalf of veterans who had problems with the law since being discharged from military service. Then there’s our own experience. But Sharpe warns that not all experiences teach wisdom. “We learn best when someone has structured the experience so we can learn from it,” he says. Being a good jazz musician doesn’t just require the technical skill to play the sax or horn well; it doesn’t just require reading notes and following the rules. It requires the skill to listen well, to adapt, to imagine quickly. It’s about being relational, perceptive and discerning: a good jazz musician needs to adapt to a changing situation. They learn to be resilient, and when to take risks by trying and failing. Since writing the book, Sharpe has taken steps to see how practical wisdom can be cultivated in lawyers, police officers, and medical students. His conclusion is that with careful preparation and using a practical wisdom approach to facilitation, it does work. For everyone’s sake, it needs to work. TED, Barry Schwartz: Our loss of wisdom (YouTube video,20:46, Feb 16, 2009) https://www.youtube.com/watch?v=lA-zdh_bQBo. Barry Swartz, “What Work Is and What It Can Be,” HuffPost, May 25, 2011, https://www.huffingtonpost.com/barry-schwartz/what-work-is-and-what-it_b_173069.html. Barry Schwartz and Kenneth Sharpe, Practical Wisdom: The Right Way to Do the Right Thing (New York: Riverside Books, 2010). Christine Lagarde, “The Role of Personal Accountability in Reforming Culture and Behavior in the Financial Services Industry,” International Monetary Fund, Nov 5, 2015, https://www.imf.org/en/News/Articles/2015/09/28/04/53/sp110515. Amy Wrzesniewski, Jane E. Dutton and Gelaye Debebe, “Interpersonal Sensemaking and the Meaning of Work,” Research in Organizational Behavior Vol 25, (2003): 93-135. Schwartz and Sharpe, Practical Wisdom. 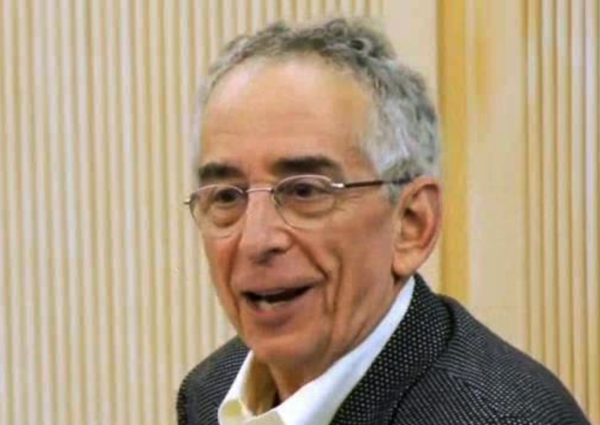 Barry Schwartz, “How Can We Cultivate a Practical Wisdom?” Big Questions Online, Nov 10, 2015, https://www.bigquestionsonline.com/2014/11/10/how-can-cultivate-practical-wisdom/. Libby Lewis, “Court Aims to Help Vets with Legal Troubles,” NPR (transcript of radio broadcast), Apr 29, 2008, https://www.npr.org/templates/story/story.php?storyId=90016059. Dartmouth, Perspectives on Wisdom: Can Practical Wisdom Be Learned? (YouTube video, 1:28:56, Sep 20, 2014) https://www.youtube.com/watch?v=DCvnGYIK9VQ. Kenneth Sharpe, “Moral jazz and patient-centered care,” Gold Foundation, July 15, 2014, https://www.gold-foundation.org/moral-jazz-and-patient-centered-care/. Deborah Cantrell and Kenneth Sharpe, “Practicing Practical Wisdom,” Mercer L. Rev. 67 (2016): 331-381, https://scholar.law.colorado.edu/articles/1. Michael J. Nila, Barry Schwartz, and Kenneth Sharpe, “Educating the 21st Century Cop: Developing Blue Courage and Practical Wisdom,” The Police Chief 79 (November 2012): 52–56, http://web.archive.org/web/20160416021032/http://www.policechiefmagazine.org/magazine/index.cfm?fuseaction=display_arch&article_id=2802&issue_id=112012. Posted in Wisdom and tagged Barry Schwartz, GFC, Kenneth Sharpe, practical wisdom, wisdom, wise person.